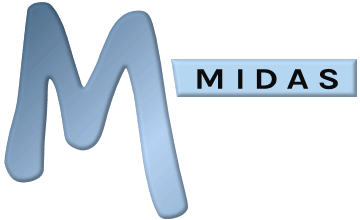 To delete a client from MIDAS, firstly locate the client in the database. To find the client, use the search function by selecting the icon in the main toolbar. Enter part of the client's name into the search field (ensuring the "Clients" tick box is selected so that MIDAS knows what to search for). You will be prompted for confirmation that you wish to remove the selected client from the database.